Making cocktails is a top skill, the best mixologists are able to cook up amazing experiences with fresh ingredients and the same sort of flavour pairing you’d expect from any great chef. As imaginative as these mixologist can be, they still know how to make the classics, the popular cocktails people order again and again. 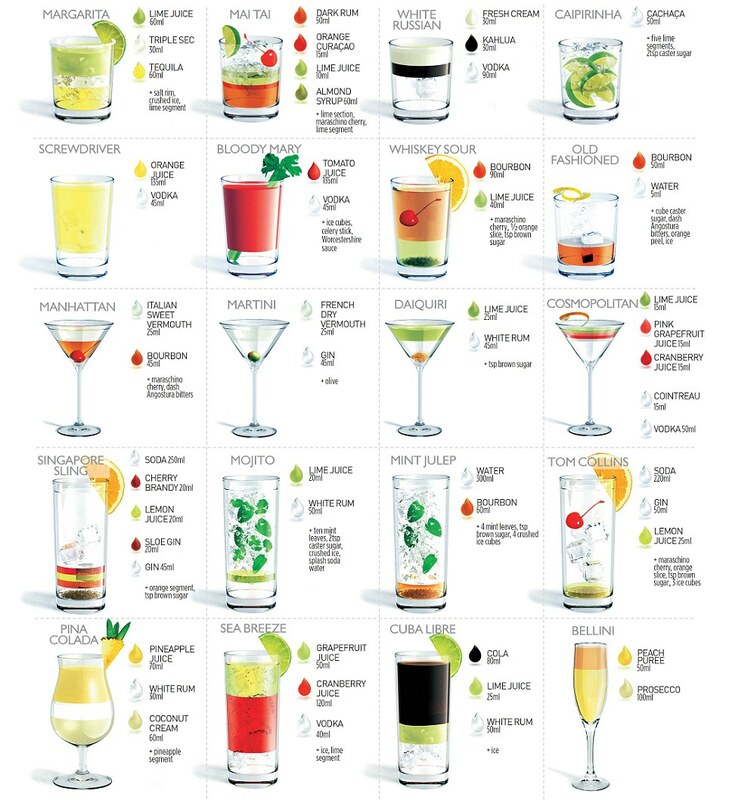 Mixologist Salvatore Calabrese has collected 20 of the most popular cocktails and they have been broken down and illustrated by The Daily Mail. The infographic shows you how to make each drink with the ingredients listed down the right. There’s everything from Margarita to a Cuba Libre.